Have you always wanted to visit Ireland, but don’t know what to see with limited time? 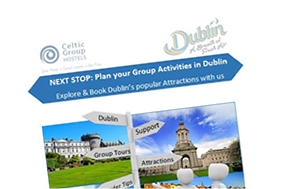 How long to stay at the Cliffs of Moher, how far it is to the Burren and how to get the best of your stay in Dublin? Look no further! Get inspired by our tried and tested sample itineraries, you will definitely find some great ideas and insights here. We will gladly tailor-make these to fit any requirement your group might have.